PMD 48-30 HP Shaker Screen For Derrick 514 shale shakers. 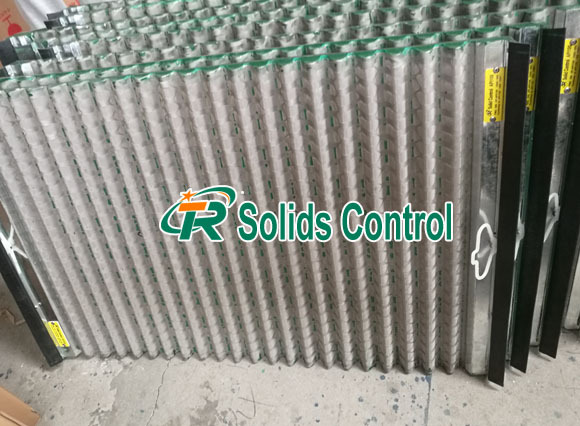 PMD 48-30 HP Shaker Screen is used in slurry,gas&oil field and for filter as a filter element.48-30 HP Shaker Screen is very important for Drilling Shale Shaker.Mud Shale Shaker as an important one solid control equipment, in order to ensure the normal use mud solids control,so you must make the choice prior to PMD 48-30 HP Shaker Screen of drilling mud solids control equipment. 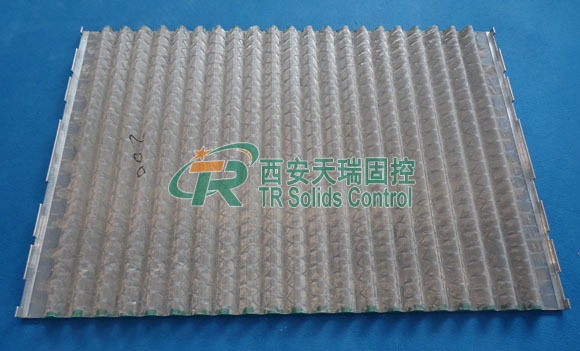 48×30 HP shale shaker screen are the series applied most widely at present. These products can be fit for all kinds of shale shakers that use the hookstrip flat screen. This screen panel is constructed with two or three stainless steel layers bonded to a steel support plank. Accessary rubber plugs may be inserted to the rips or tears of the screen. By doing this, we can cut down time and the production cost. We can supply hookstrip flat screens with mesh sizes ranging from 20 to 325. 48×30 shaker screens are used on FLC2000 series shaker. FLC short for Flo line cleaner. FLC2000 series shaker including 3 panel and 4 panel ones, as well as the mud cleaners. According to design and appearance there are FLat, Waved, and Waved+ screens. Divided by different configuration on screen cloth layers there are HP, DX and DF series screen. 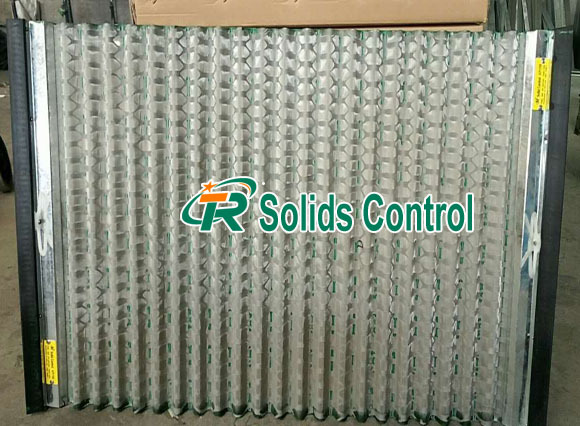 The mesh size are from API 20 to API 325. Cut point from 40.3 to 783.8 microns. Furthermore, certain non blanked area varies much on different type of Derrick 48×30 shale shaker screen. Furthermore, 48×30 series screen also fit FLC Plus, FLC with AWD, HI-G dryer, and so on shakers. The 48×30 shale shaker screens are hook strip type and clamped in a tensioning way. 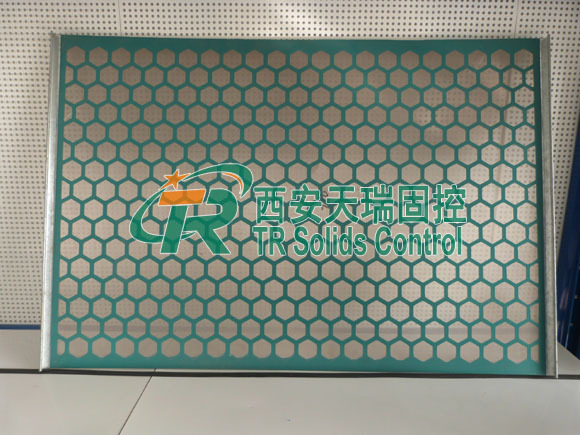 Compared to Waved 48×30 screen the Flat screen panel holding much less filtration area and lower efficiency during drilling solids removal. The waved cloth bonded to metal backing plate, has more surface . The effective area of a pyramid screen obtain 125%to 150% of a flat screen so that pyramid screen can load more drilling fluid flow.